Hard plastic flooring has many benefits for the discerning home improvement enthusiast and, in many instances, the product can be environmentally friendly, as it is often made in part from recycled materials. 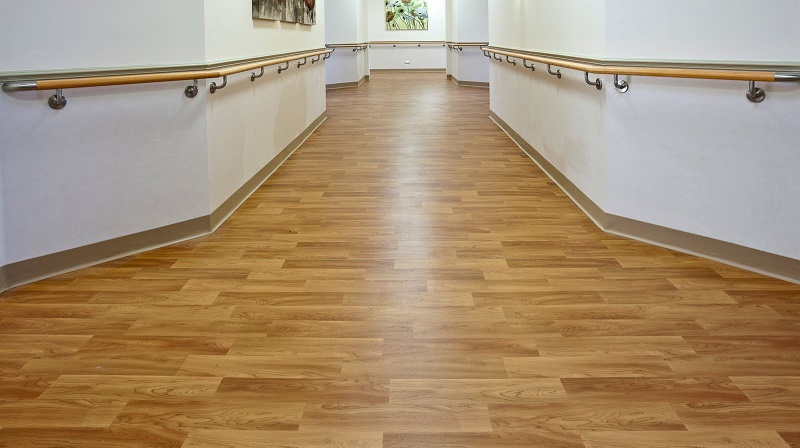 While it is commonly installed in heavily trafficked venues like stores, schools and hospitals, many homeowners appreciate its clean and resilient qualities. Plastic tiles and planking have a variety of styles to choose from, with tile, ceramic, stone, wood and veined marble being the most popular. And these products are easy to install. The pieces are built to lock into each other and a spacious room can be completed with a morning’s work, often accomplished by a resourceful homeowner. Indeed, several manufacturers make available do-it-yourself installation kits, but many householder prefer a contractor to ensure a polished appearance. Hard plastic flooring continues to grow in popularity, particularly in bathroom, laundry room and kitchen settings, where a significant amount of moisture is expected. This is because the material is stain resistant and impervious to water. Hard plastic flooring has a reputation as a durable material that can maintain its usefulness for many years if the tiles are installed correctly. Additionally, plastic tiling can be very inexpensive and rarely exceeds an affordable price point. Still, high quality options are also available and premium materials can be purchased from a variety of outlets. In general price differentials are dictated by design options and the quality of the material. 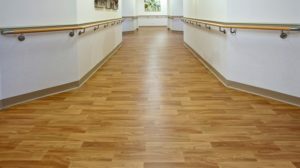 The vinyl materials employed in most of these flooring options is softer than other flooring materials like ceramic or wood and does not cool during the winter months. Also, these floors are easier to keep clean. A broom, wet mop and the occasional plastic floor cleaner will accomplish the job in no time at all. These are the same attractive qualities that have been proclaimed for a half a century by hard plastic flooring retailers and suppliers. And thanks to a number of advances over the years, today’s floors are even more attractive and economical. Additionally, if you are environmentally-conscious, you can check with local flooring manufacturers and home centers that offer buy back programs for old flooring, or offer limited-time recycling for hard plastic and vinyl flooring.